Get the comfort and peace-of-mind knowing your hydroplaning expert has experience in all aspects of hydroplaning traffic accident reconstruction. Provides continuity for throughout each phase of the reconstruction and hydroplaning evaluation. You will sleep better knowing that your case is handled by an experienced expert. Experienced in hydrology, traffic accident reconstruction, roadway design and evaluation, roadway maintenance issues and data gathering. 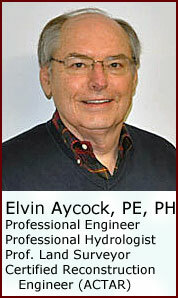 Professional Engineer (PE) for more than 35 years. Licensed professional engineer in the field of civil engineering. Hydroplaning Expert in Georgia, Florida, Mississippi, Louisiana, South Carolina, North Carolina, Alabama and Tennessee.